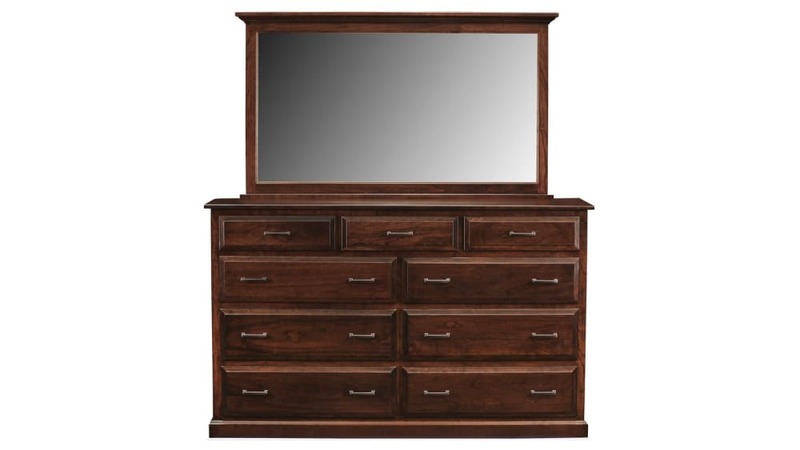 This stunning solid wood dresser showcases American-grown hardwood and local craftsmanship at their finest. 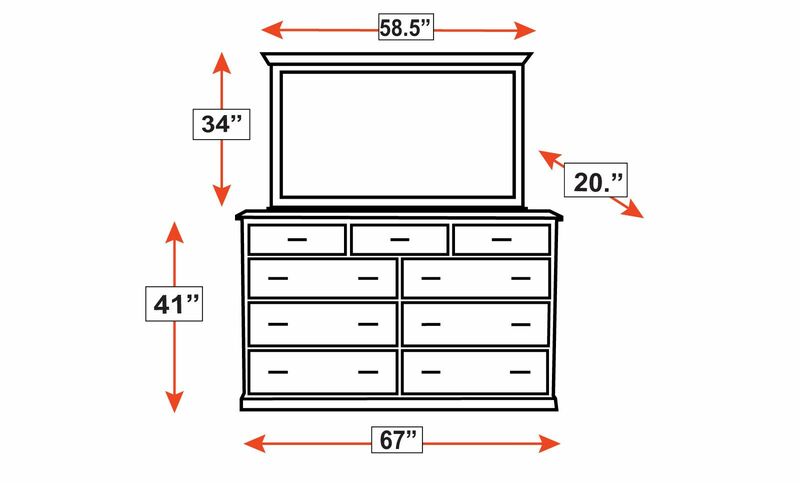 Constructed using artisanal techniques, this is heirloom-quality furniture that can be passed down from generation to generation. Antiqued hardware adds a bit of flair to the traditional design. Stylish trim-work and clean lines make this piece stand out. Fully finished with a multi-step catalyzed process for added protection from wear and damage. Practical and gorgeous, this dresser and mirror set offers nine drawers.